In a nail biting clash, the Blasters edged past the Highlanders to keep their play off hopes alive. With both teams looking for the win, the game saw plenty of opportunities but lack lustre finishing from both sides meant that Wes Brown's brilliant header in the 28th minute was enough to secure three points for the visitors. The Highlanders failed to give joy to their home fans in their last home game of the season and will be once again ruing their missed chances. Danilo has been leading the line for Northeast United in all of their games. He has scored 1 goal in 16 appearances. That is a very poor return for a Forward in any tournament. Prior to this game Danilo had taken 18 shots on target and managed to find the back of net only once. One cannot fault him for his work rate as he is always pressing the opposition defenders but it always comes down to the number of goals scored. Once again Danilo missed some very good chances before being subbed off in the half time. Mosquera didn't so any better either as the Colombian forward missed a free header which any other forward would have buried in the back of net. The Highlanders have scored the least amount of goal in this year's edition so far. The worrying stat however is that 8 out of their 10 goals has come from midfield. Their blunt attack was laid bare for all to see but somehow lack of options meant the Highlanders had to be content with what they have. Northeast United had a lot of clear cut chances but the side from South held on due to some questionable finishing by the Highlanders. Kerala Blasters did not have a perfect game and James will want his team to be more solid in the back. Their dream of making the playoffs are remote and they have to win their next two games to stand a chance. The current table scenario suggests that even winning their next two will not guarantee a spot for the former runners up. Kerala Blasters will have to up their game multifolds to finish the season with a flourish. The former Manchester United defender has been a rock for the Blasters in their last few games. The superstar from England stole the show in Guwahati with a picture perfect header, a proper mix of power and flair. Brown deservedly was awarded man of the match for his immense contribution at the back and scoring the vital winner. Wes Brown is one of the very few star names who have managed to stay fit and perform for their respective clubs. He will be an example to follow for some of the finest foreign recruits. The home matches of Northeast United were used to be a carnival. The special part of country that has given birth to some special footballers took the newly found club to their hearts immediately. Sadly Northeast United have never performed well in the tournament which ultimately resulted in a waning crowd. Though the attendance for this season's ISL have been healthy, there is a school of thought that this edition is followed by lesser number of people than the previous edition. One will have to wait for the tournament to conclude to have the official verdict but a deserted Guwahati stadium gave away the current story in that part of the country. 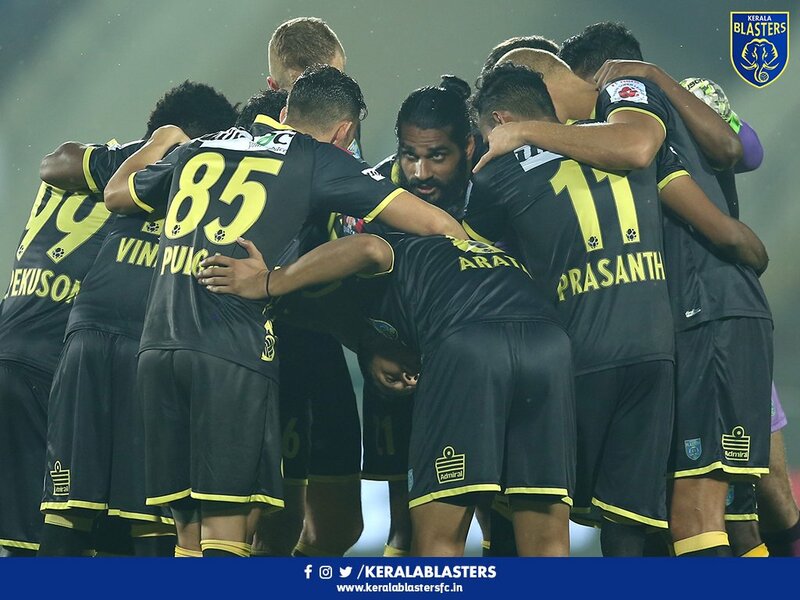 Can Kerala Blasters reach the Knockouts this season?